I read this article and found it very interesting, thought it might be something for you. The article is called Extraordinary Ordinary – Clanbrassil Coffee Shop and is located at https://www.totallydublin.ie/food-drink/restaurants/extraordinary-ordinary-clanbrassil-coffee-shop/. A Paris-Brest is best tested fresh – isn’t that how the saying goes? This classic French pastry, a rather lovely sandwich of choux pastry stuffed with a nutty cream (€4), has found a new home in Clanbrassil Coffee Shop just off Leonard’s Corner near the South Circular Road. It didn’t take Burke long to realise that she wanted to swap her paint brush for a pastry brush. She took a break from waitressing to dive into the three month course at Ballymaloe Cookery School in September 2016, arriving back to the big smoke full of ideas and a particular flair for the sweeter side of the kitchen. She began dividing her time between the floor and the pastry section of Bastible until they introduced the casual Clanbrassil House to the world in late 2017, where Burke slotted into position as Head Pastry Chef. Indeed, this is a sandwich which totally owns its space in the world. 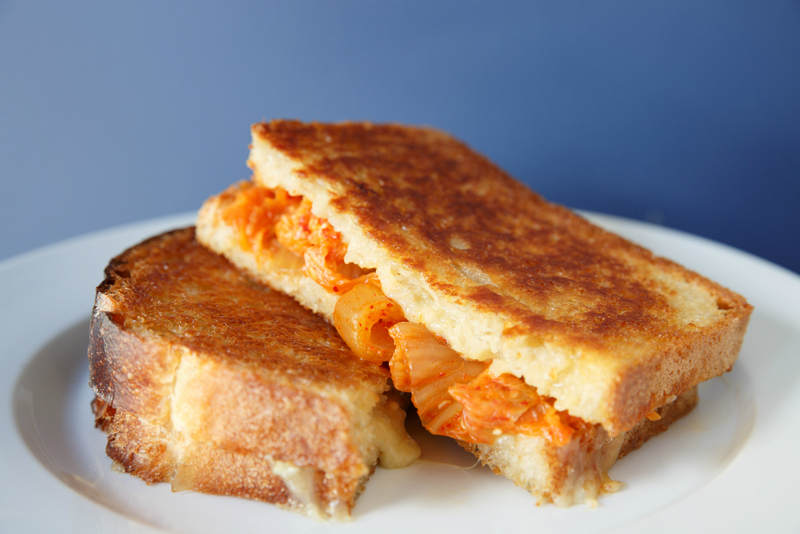 Burke perfected her vegetarian kimchi recipe by forgoing the customary fermented fish ingredients for umami-rich sesame oil and seeds. She gives me a sniff of a recent batch in a Kilner jar behind the counter; its glorious zinginess jumps out to give my senses a good shake. They’ve paired Burke’s kimchi with chunks of molten Hegarty cheddar and a good dose of Crozier Blue, which is a sweeter and some say more sophis’ blue cheese by Cashel Blue. It’s on toasted slices of the completely perfect Le Levain bread and the combination brings your tastebuds to the precipice of tangy intensity in a really good way. 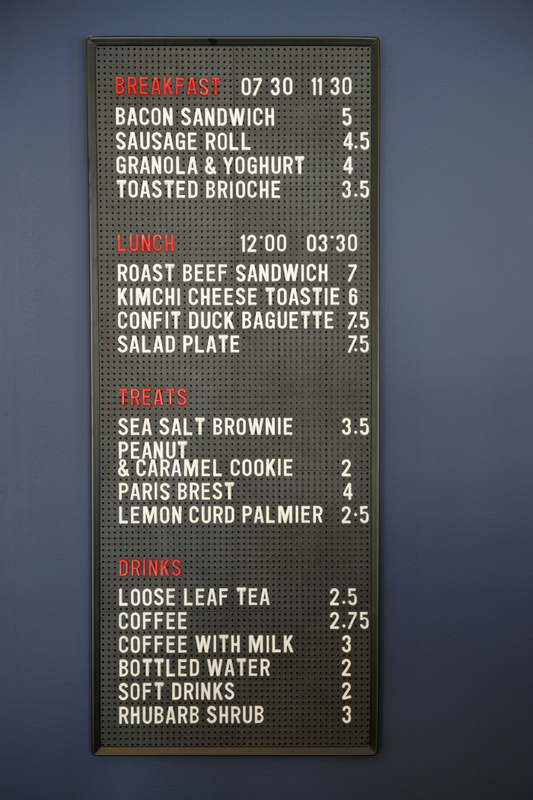 Le Levain bread is used in all the sandwiches, including the McLoughlin’s roast beef baguette and Skeaghanore confit duck baguettes (€7.50). There’s a weekly salad box (€7.50), too, and really tasty homemade sausage rolls boasting beautifully golden pastry jackets (€4.50). Perhaps most splendid of all is the bacon sandwich (€5). Every element of it is perfection. Le Levain’s rustic rectangle slice is airy in the loaf and almost crispy in the crust, Burke’s homemade brown sauce is piquant in all the right places. The bacon is crispy, supplied by TJ Crowe’s farm in Tipperary. 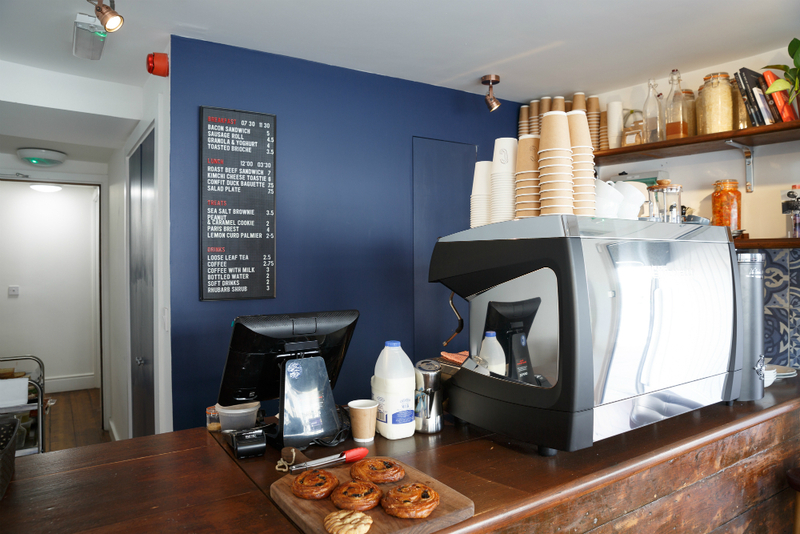 The coffee is sourced from 3FE and the barista behind the steam wand is Dave Fox, who comes to the Clanbrassil fresh from First Draft Coffee. A faultless flat white (€3) is in delicious company with one of Burke’s gorgeously delicate palmier biscuits (€2.50) which is topped with a dollop of zesty homemade lemon curd. Everything here is simultaneously uncomplicated and comforting, fuss-free yet imaginative. Good, simple food done really well is a tired old cliché at this point but that’s exactly what Burke, Fitzgerald and Thomas are doing. It’d make you wonder why more coffee shops don’t strive for this kind of excellence in simplicity. Clanbrassil Coffee Shop is a celebration of the extraordinary ordinary.